What's a dragon without his wings? A big lame lizard, that's what. Wings make the creature. Fairies. Demons. Gargoyles. Take off the wings and you've got magical weirdos and that's it. But add a pair of wings? Now you've got a creature of the night! Something majestic and terrifying! 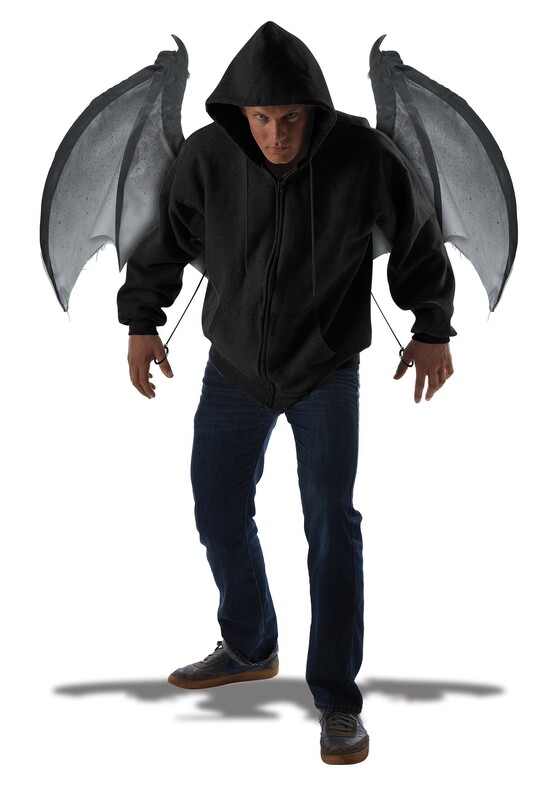 So if you're feeling like you need to be a mythical creature of epic proportions (and by epic, we mean in possession of wings) look no further than our Wicked Wings Accessory. 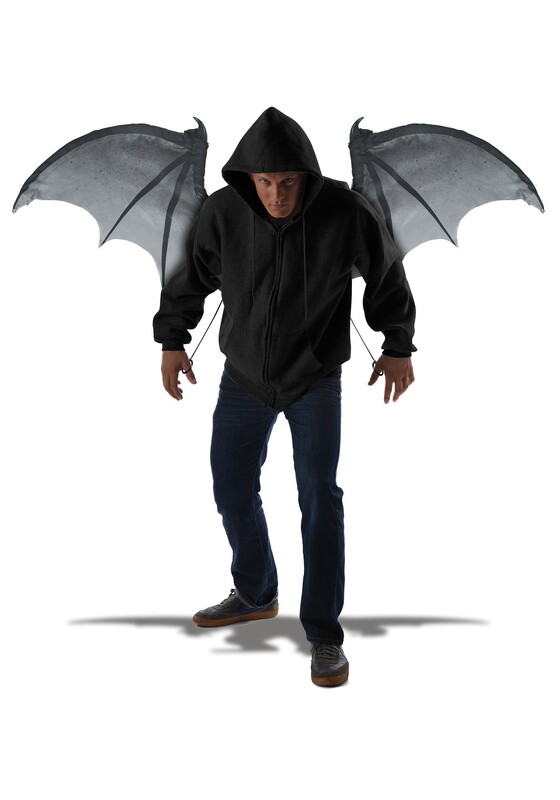 These nylon-hinged wings have elastic shoulder straps and pull cords so the wings spread. That's right. 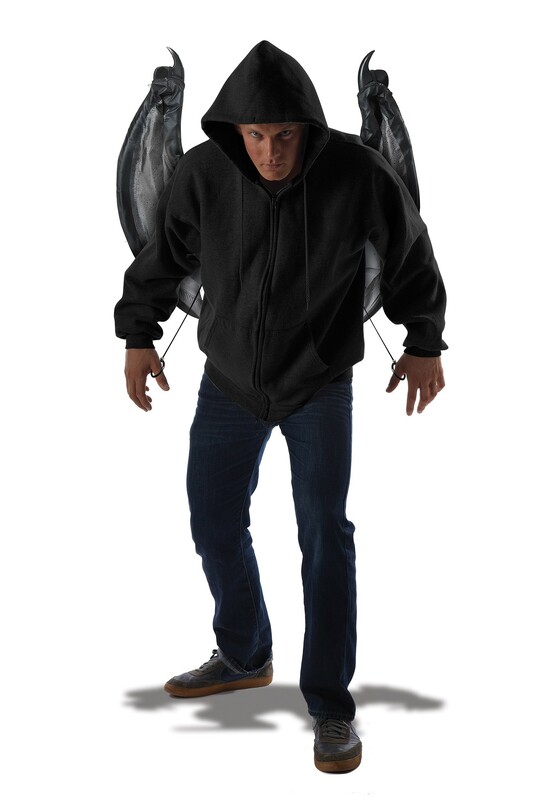 Not only can you be a supernatural creature with some epic wings, you can also flex your wings and watch people jump in terror. Ah, the power of wings.